Morgana-Adopted! | One Dog More! 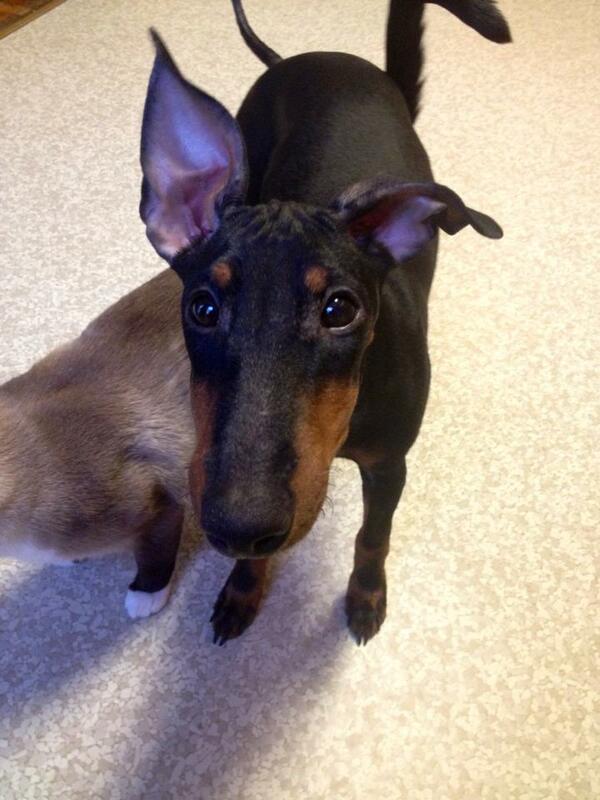 Morgana is a beautiful Manchester Terrier with AKC bloodlines. She is a year old. She is housebroke and crate trained. She gets along with other dogs but does sometimes get too rough with small dogs. She is good with cats. She is good with kids but may nip in play. She is spayed, microchipped, heartworm negative and up to date on all shots. This beauty would do best with older children and dogs her own size or bigger. This entry was posted in Adopted! and tagged female, Manchester Terrier by onedogmore. Bookmark the permalink.